Need There is currently a pressing desire in military and civilian communities for Unmanned Aerial Vehicle (UAV) airspace integration. 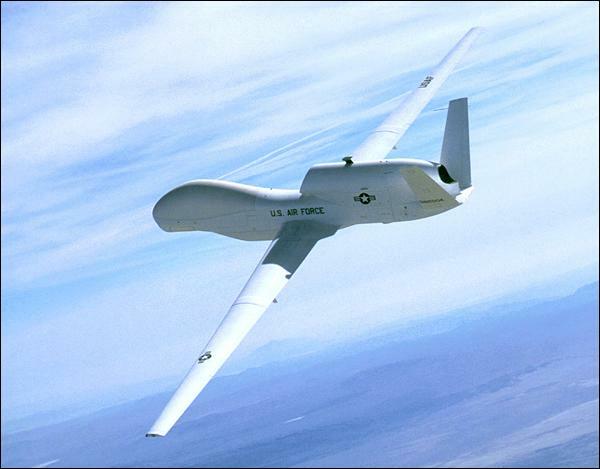 For UAVs to operate safely in the National Airspace System (NAS), they must be capable of operating with an equivalent level of safety to manned aircraft. One capability required to achieve this goal is to predict what other aircraft will do, as human pilots currently do, so they can be avoided, if required. Solution The Intelligent Pilot Intent Analysis System (IPIAS) provides an onboard capability to predict trajectories of other aircraft. This requires an automatic capability for recognizing the intent of the pilots of other aircraft. 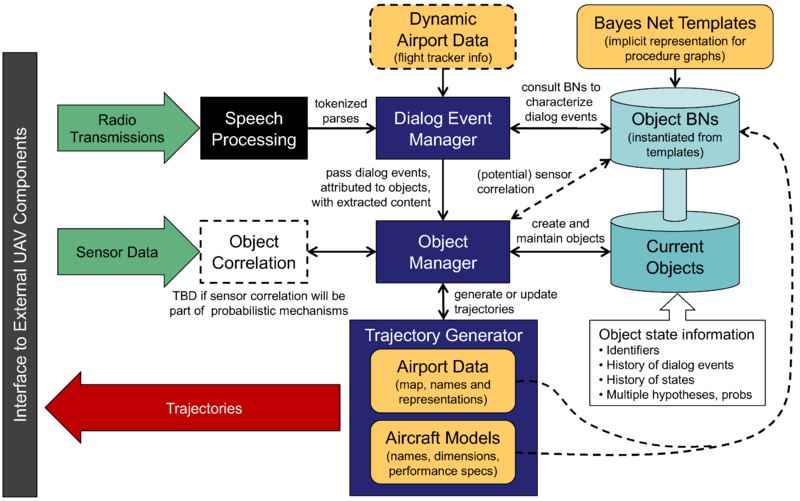 A significant factor in understanding intent is Air Traffic Control (ATC) communications to and from the other pilots, supplemented with sensors onboard the UAV. IPIAS utilizes knowledge of general ATC procedures at varying levels of detail and information specific to the particular airport the UAV is operating from to analyze the ATC radio communications dialog history and data from onboard sensors to determine the likely intent of pilots of aircraft in the vicinity and their corresponding likely trajectories. Status IPIAS has been successfully prototyped and its concepts tested on actual ATC dialogs and simulated sensor data. It is undergoing full-scale development while being simultaneously integrated with Northrop Grumman’s ACUGOTA UAV control system also currently being developed. Related Applications IPIAS’s technology can be used to infer team members’ goals and plans from their actions and communications when there are procedures and protocols which guide or constrain task execution. These inferences can help identify and avoid execution and coordination problems by busy members of distributed teams working on many tasks simultaneoulsy under time pressure.